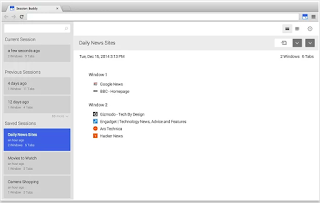 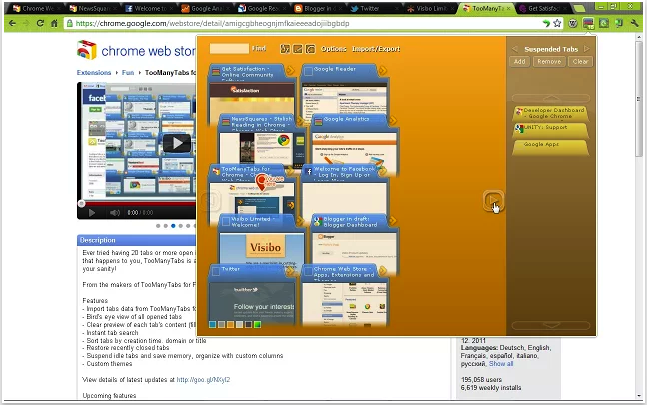 TooManyTabs is a very good add-on to use to manage multiple tabs on Chrome. It organizes all your opened tabs into a neatly sorted page where you can browse them. 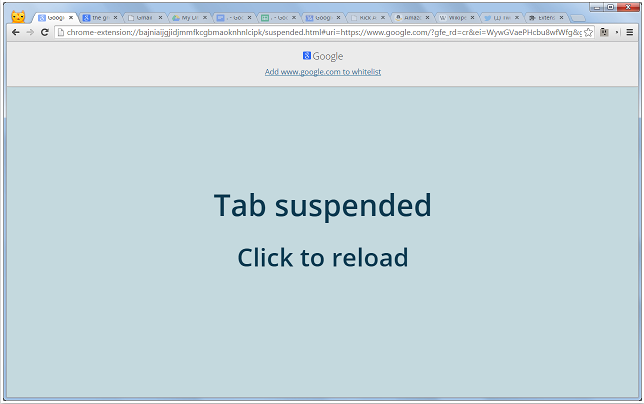 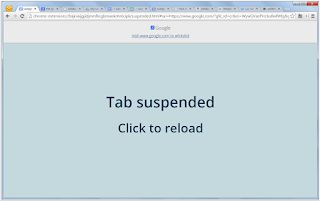 This is especially useful when you have a large number of tabs opened in the same session. 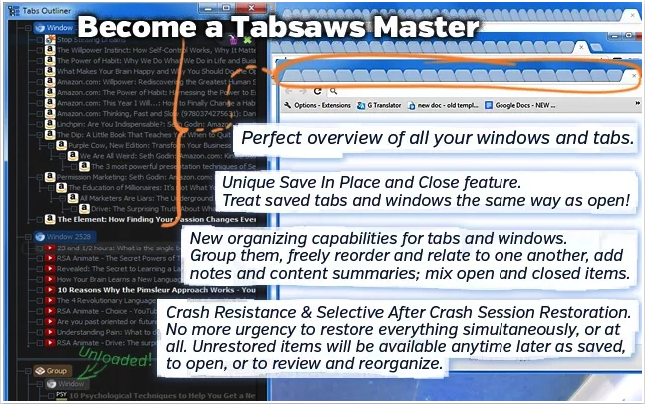 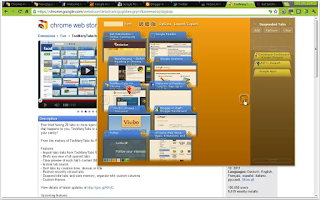 TooManyTabs provides you with a bird’s eye view of all your opened tabs and you can even use the search functionality to look for a particular tab. 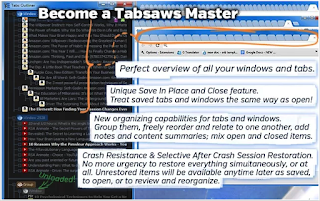 Other features provided by this add-on include: restore recently closed tabs, suspend idle tabs to save memory, sort tabs by creation time, domain and title and many more.